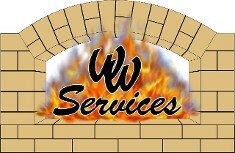 WW Services is home to local, service-oriented refractory and firebrick construction contractors in Harrison, Ohio. Since 1976, we've continued to specialize in refractory construction, including maintenance coatings and ceramic fiber linings. We have experience with large and small jobs alike, but regardless of the job size, our quality craftsmanship and dedication to you remain the same. We are proud to be a small, family-owned-and-operated business with strong core values. We are experienced in all refractory applications/materials and utilize specialized equipment for safe and effective refractory inspection, repair, removal, and replacement/installation. Our refractory and firebrick construction contractors are familiar with all brand names and convert gas-fired boilers, rebuild package boilers, install turn-key operations, and insulate the exterior and interior of tanks. 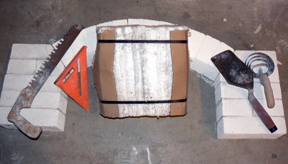 We have the capability of combining a steel shell and refractory lining into a single engineered component with appropriate anchoring, backup insulation, casting, gunning, ramming, or bricking the refractory lining. We can also pre-fire the completed unit for immediate use, assisting you in the design of the component and selection of the material that will give you the best service and efficiency. Contact our refractory and firebrick contractors today at (513) 738-4100 in Cincinnati, Ohio, for a free estimate the next time you shut your boiler or furnace down.